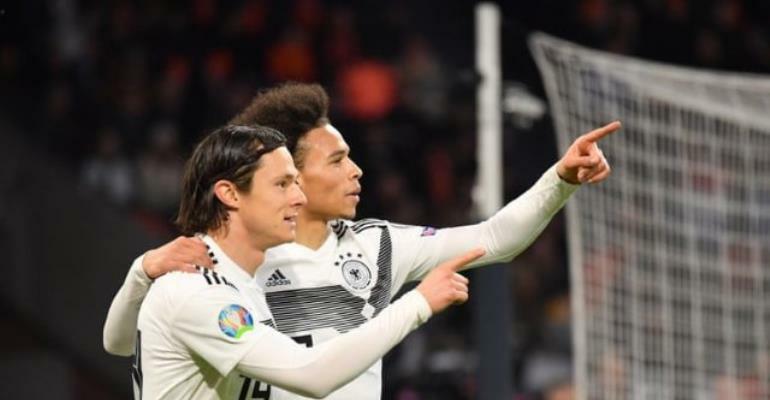 Germany defender Nico Schulz scored a late winner as their new-look side snatched a 3-2 win away to the Netherlands in their opening Euro 2020 Group "C" qualifier on Sunday, certainly an absorbing clash that swung in fortunes from one side to the other. But some of the frailties of the last 12 months returned as they let their grip on the game slip, with Memphis Depay laying on a goal for Mattheuijs de Ligt and then scoring the equaliser himself in another influential display from the in-form forward. Wing-back Schulz produced the decisive moment of the match though when he netted in the final minute after a fine build-up down the left to re-establish Germany's advantage and claim a crucial victory to get their qualifying campaign underway.